Computer-aided landscape design (CAD), an indispensable tool for landscape architects, designers and students on limited budgets, is rapidly becoming the industry standard. 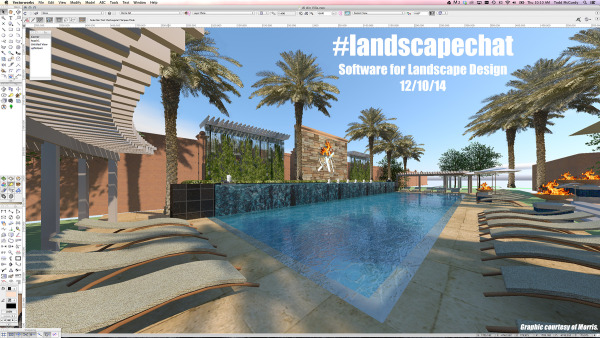 This week on #Landscapechat, we come together to discuss the need for simple-to-use, yet powerful CAD software programs and to share our experiences with many of the programs. Join @CoronaTools and partner Land8 along with special guest, Erick Gilbey from Vectorworks on #Landscapechat this week! Tweet with us on Wednesday, December 10 at 11AM PST/ 2PM EST. This is the Twitter chat where we come together with green industry experts and fellow landscape tweeps, each week to discuss all things related to landscape, since 2011.